Back in 2012, we marked the introduction of the EU cookie law with this post and this handy guide. But have there been any big changes in how websites are following protocol? What is the EU General Data Protection Regulation (GDPR) & why should you care? Digital businesses and organisations of all sizes will be aware of the myriad of laws and regulations when operating in or across EU markets. Top of the list will be data protection and privacy law as many organisations become more data-driven in the quest to monetise their digital offering by delivering a more customised user experience. 2015 was the year of cyber attacks & privacy debates. What will 2016 bring? If 2014 was the year of the data breach – as I predicted two years ago – then 2015 was the year that privacy and security simultaneously became both a kitchen table issue and a national policy issue. In the US and EU we’ve seen breathtaking events that impact both. 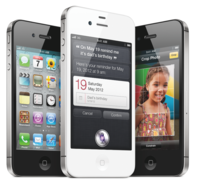 How will privacy by design principles impact web development & UX? One of the many significant changes being introduced by the European General Data Protection Regulation (GDPR) is the requirement to adopt principles of privacy by design (PbD) when creating or revising processes or technology. Given that websites are regularly being redesigned and developed, often by out-sourced agencies, it is quite likely that when the requirements become law, web development projects will be the biggest, most immediate category of impacted software development activities. At the heart of the debate about data and privacy today, there lies a false premise. An assumption that there are sides to be taken and battle lines to be drawn. This perceived division largely pits the individual against the interests of businesses. The cookie law. Wasn’t that a car crash? Ugly banners stuck on top of beautiful designs, obscuring functionality and doing nothing for anybody except forcing a pointless click to get it out the way and get busy living. The EU ‘cookie law’: what has it done for us? It’s now more than two years since the cookie law began to be ‘enforced’ in the UK, but has it changed anything? In the run up to the May 2012 ‘deadline’ there was plenty of confusion from online businesses over the steps required to comply with the directive, thanks to some unclear instructions. Now cookie notices are seen on most websites, though the ICO received just 38 ‘concerns’ about cookies on sites between April and June 2014. So was it worth the effort? Are cookie notices just an irritant? Is it totally irrelevant given the activities of the NSA? Or has this law been useful in raising awareness of cookies? The EU e-Privacy Directive was introduced last year as a way of forcing websites to be more open about the type of cookies they used to track visitors. Initially there was quite a lot of apprehension as site owners were concerned that they’d be forced to add intrusive pop-ups and force visitors to opt-in before they could begin using the site. Stats include customer loyalty, UK smartphone ownership, online spending over the festive season, mobile commerce, and tablet conversion rates. 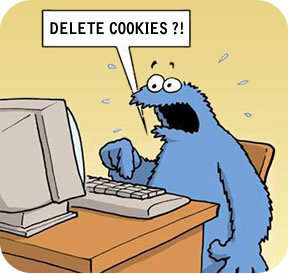 One of the biggest concerns for online businesses this year has been the EU cookie law. Six months after the enforcement ‘deadline’, it seems that the cookie apocalypse hasn’t transpired, but the ICO has felt the need to write to 174 companies about their cookie policies. According to a recent activity update, it has received 550 reports from web users about sites’ cookie policies. It’s been another busy year on the Econsultancy blog. Thanks to our wonderful and highly intelligent readers, our traffic has grown YOY, making 2012 our best year ever. Here’s a round-up of some of the most popular posts written by the Econsultancy team this year (see here for our top guest posts). Posts are ranked by number of page views. It seems that the vast majority of web users are not too concerned about viewing information about privacy and cookies, with just 1.47% clicking to find out more. Stats from a sample of 35m users of 29 websites from TRUSTe show that a tiny minority are choosing to find out more about cookies, while the majority of those choose not to change settings. This data suggests that, with the current implementation of the cookie law, online businesses have little to fear….